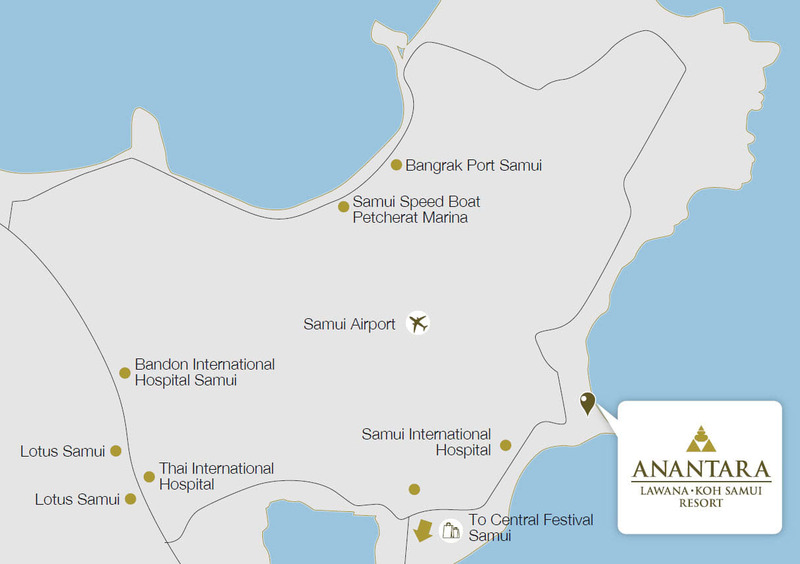 Our beachfront location on the eastern shores of Koh Samui pairs convenience with a beautiful tropical setting. The resort is only 6 km from the island's airport and a few minutes' walk from the buzzing nightlife, shopping and dining scene of Chaweng. Let us greet you at the airport and accompany you on your journey to the resort by Toyota Fortuner SUV or private van. If you’re arriving from Koh Phangan or Koh Tao by ferry, we can arrange your transfer from the Seatran pier by SUV or private van. Let us pick you up from Nathon Pier – the main port of entry from the mainland. Travel the 50-minute drive to the resort by SUV or private van.